We did it. 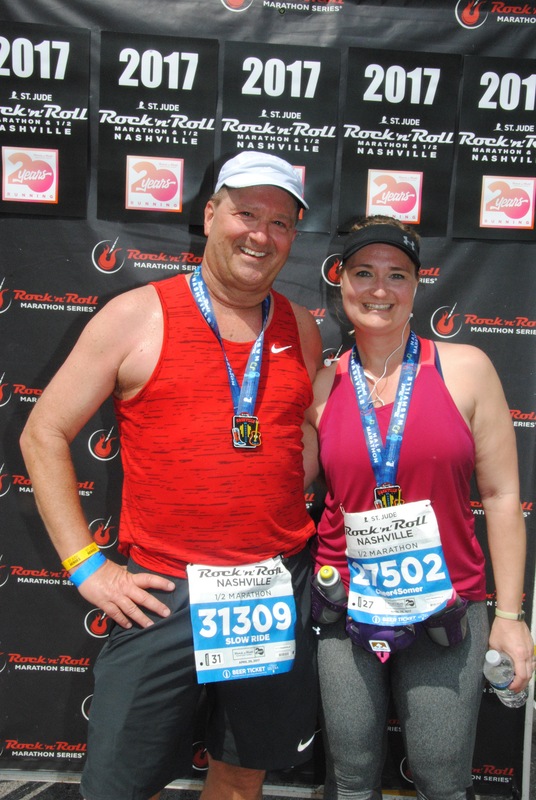 Two half marathons in seven days! It wasn’t always pretty–especially the half in Nashville where the temps were unseasonably warm. That was a difficult day. It started out warm and only got hotter as the run progressed. The half marathon in Indianapolis was the exact opposite–chilly and sorta damp. Indy could have been awful but the weather reports were wrong about the rain. Thankfully! 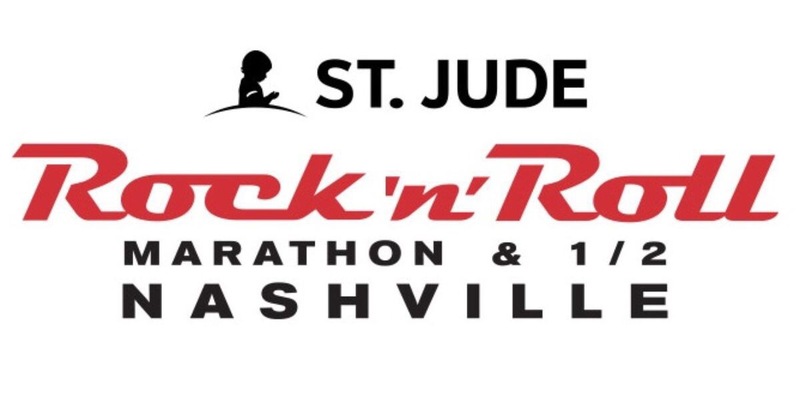 Things got started on April 28th; the day before the St. Jude Rock ‘n’ Roll Nashville Half Marathon. My wife and I flew from Augusta, Georgia to Nashville where we met up with my daughter Somer, and my son-in-law Brian. The three of us ran this event last year so it helped we sorta knew the ropes going into this one. My training and Somer’s training leading up to Nashville hadn’t gone as we hoped. Last year our goal was to run in under 2 hours, 30 minutes. If not for a necessary potty stop we would have made it. This year, our expectations were lower. I was going to be happy with anything under 3 hours. Brian on the other hand had higher expectations so instead of us running together this year he was going to run on his own. Because of the heat the race start time was moved up by 30 minutes. The temperature at start time was around 75 degrees and only got warmer very quickly. 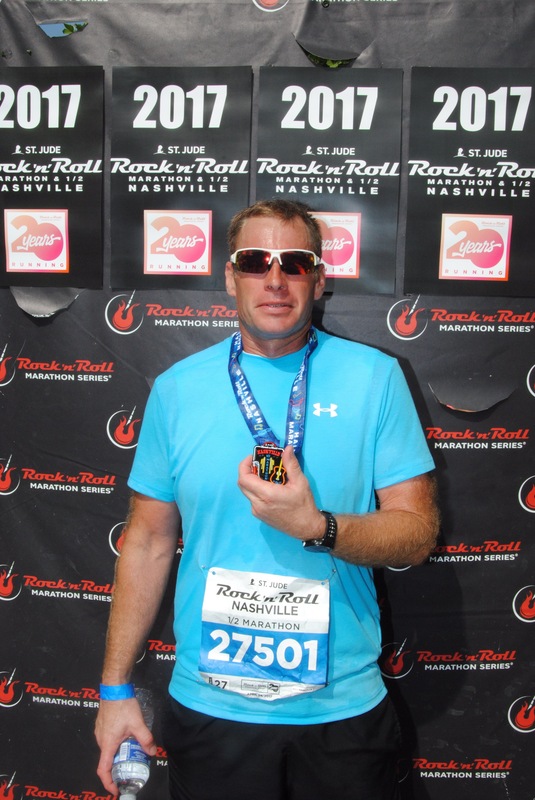 I didn’t think to find out the temp at the finish but I’m pretty sure it was around 85 degrees or warmer. Brian finished with an approximate time of 2:08. Somer and I on the otherhand walked more than we ran on the last five miles and finished around 3:14. None of us had the finish we expected because of the heat. I still think it was a success though because this year I entered as a St. Jude Hero to raise money for the St. Jude Children’s Research Hospital. My goal was to raise $2620 which comes out to $200 per mile. I had over fifty donors from fourteen states help me not only reach my goal but to exceed it. In all, I was able to raise $2665 for the St. Jude kids! Thanks so much to everyone who helped me help St Jude. After the race we found some shade around the Nissan Stadium and enjoyed our chocolate milk and ice cold Mich Ultras and did some stretching. Unlike last year we are staying an extra night so there wasn’t a big rush to get back to the motel to check out. Once we got back to the motel we were ready for a shower and something to eat! We wanted to try Hattie B’s hot chicken but the line seemed like a mile long out the door and by then it was at least 90 degree’s out. 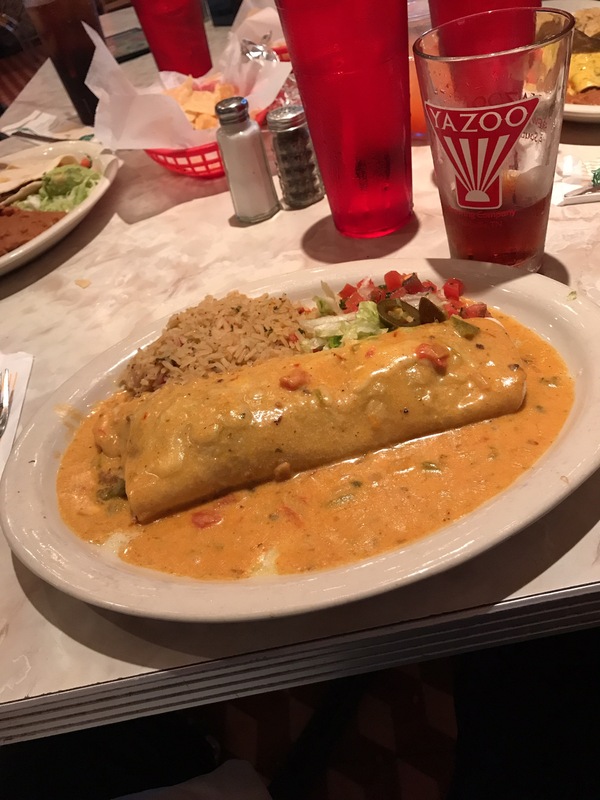 So we settled on a Tex-mex place called Chuy’s. Service was great and the food tasted pretty good too. The rest of the day/evening we just relaxed and hung out together then got up early on Sunday to see my wife off since she was flying back home and we got in the car to head to Evansville. My next post will be about the Indy 500 OneAmerica Mini Marathon. Hope to have that one posted before the end of the week. Great run! What’s your next race? Well… seven days after Nashville I ran the Indy 500 OneAmerica Mini Marathon and I plan to post something about that tomorrow. The running season is pretty much over here in Georgia. I’m not sure what will be next but whatever it is it probably won’t be until October. I ran in the Peachtree Road Race last year but it’s just too stinkin’ hot in Atlanta on July the 4th. What about you?